In engineering drawings, isometric schematics are usually exploded, so there's enough space between parts to make them easily visible. True - and I would do that with a more complex map, but at that point one sort of loses a bit of the map cohesion, which makes it hard to use in play. 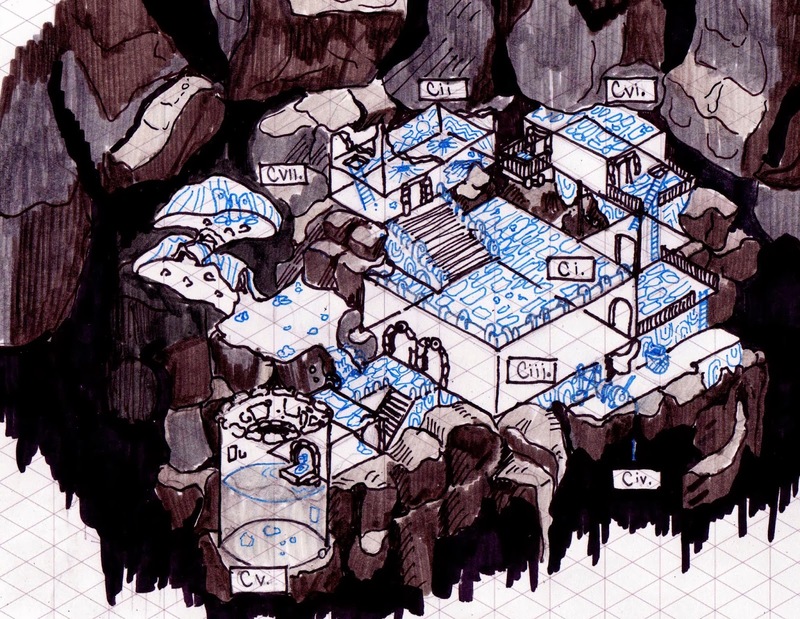 I am trying to redraw Red Demon as a set of Iso maps - one for each level, and hopefully stitching them back together for a larger map - but it's a heck of a lot of work. I don't know what to call it, but sometimes technical drawings have particularly detailed parts of a larger area shown in isolation and at a greater level of detail, and even sometimes from a completely different perspective. Like a pop-up view, or something.